ESTPs have an Extraverted, Sensing, Thinking, and Perceptive personality. ESTPs are governed by the need for social interaction, feelings and emotions, logical processes and reasoning, along with a need for freedom. Theory and abstracts don’t keep ESTP’s interested for long. 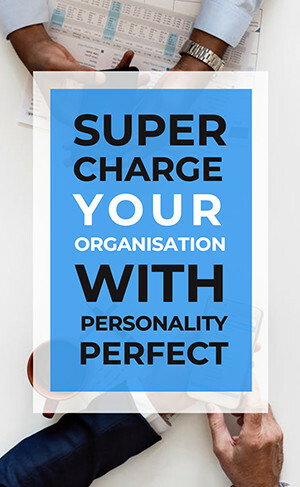 People with the ESTP personality type leap before they look, fixing their mistakes as they go, rather than sitting idle or preparing contingency plans. Are you an ESTP? Take the free personality test! An ESTP’s spontaneous approach to life makes school, certain work environments, and other highly organized situations challenging for them. This is not because they are unintelligent or not cut out for work and education, but because they are opposed to highly structured and regulated environments. It takes a great deal of maturity to overcome this and accept the necessary evils of structure. Making up only around four to five percent of the overall population, there are just enough ESTPs in society to keep things interesting and growing without disrupting the normal flow of life and society. ESTPs are full of passion and energy, complimented by a rational, if sometimes distracted, mind. Putting these qualities to a constructive and rewarding end is an ESTP’s true challenge. In the work place, school, home, or any other social gathering, it’s pretty easy to spot ESTPs. Spirited and spontaneous, fun-loving and even slightly crass, people with the ESTP personality type are go-getter types who take on life head-on and love being active and engaged. ESTPs work hard and play hard, and they expect everyone else to adopt this same mentality while around them. Networking and making new friends comes naturally to ESTPs because of their outgoing nature and drive to be successful. These qualities make it easy for ESTPs to get along with just about anyone, as long as they are not deemed to be lazy, flaky, liars, or complainers. When dealing with relationships, ESTPs are not usually described as being the sort to sit and yearn away for their wedding day. Life is fun and full of surprises, and no greater joy can be found than in living in the moment and experiencing all that life has to offer, free of ties and limitations. ESTPs may not spend much time planning for their future, but their enthusiasm and unpredictability makes them entertaining and spontaneous dating partners. People with the ESTP personality type are definitely the life of the party. With an enviable imagination and invigorating sense of spontaneity, ESTPs are never boring. They love exploring interesting ideas, both in discussion and by going out and seeing for themselves, which means that ESTPs always seem to have some fun activity hidden up their sleeves. At the same time, ESTPs are easy-going, tolerant, and charming, making them naturally quite popular. When it comes to ESTPs’ career options, “action” is the word of the day. These are people who want to be on the go, doing, seeing, and experiencing things. They prefer to be in the field rather than stuck behind a desk. People with the ESTP personality type think on their feet and are great at making quick decisions in the heat of the moment. ESTP personalities trust themselves to make the right call and they are not afraid to take risks if to reach their goals and find success. Understanding your personality is one of the most important things you can do to create a happy and fulfilling life. Read more about the ESTP The Doer Premium Profile here! Check out the Premium Profile for ESTP The Doer!